The back seat of the family van has long been recognized as a domain of sibling strife. 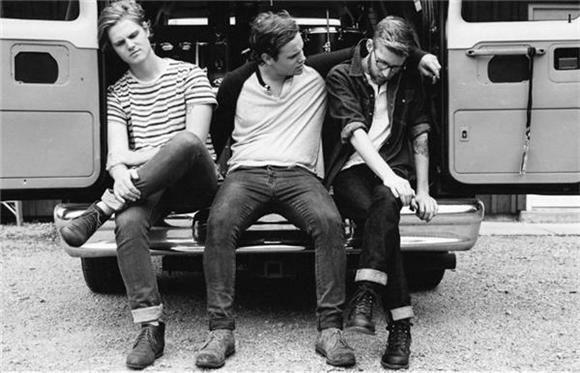 Nashville trio Colony House, however, may be onto something by sparking some charm into the claustrophobic setting with their new song "Silhouettes", which they recently performed whilst inside their cruising tour carriage following a show "somewhere in Texas." "'Silhouettes' is quite an interesting song and serves a very specific purpose on this record," said lead singer and songwriter Caleb Chapman. "For an album that has a fair amount of emotional twists and turns, this track is meant to be a constant. 'Silhouettes' is a steady reminder to not to allow the dark moments in life to overshadow all the beautiful ones we live every day. With this video, we wanted to show off a playful side." "Silhouettes" will be featured on Colony House's debut full-length When I Was Younger, due out July 22nd on Descendant Records. When I Was Younger is set to release July 22nd. Pre-order it on iTunes and receive "Silhouettes" now.